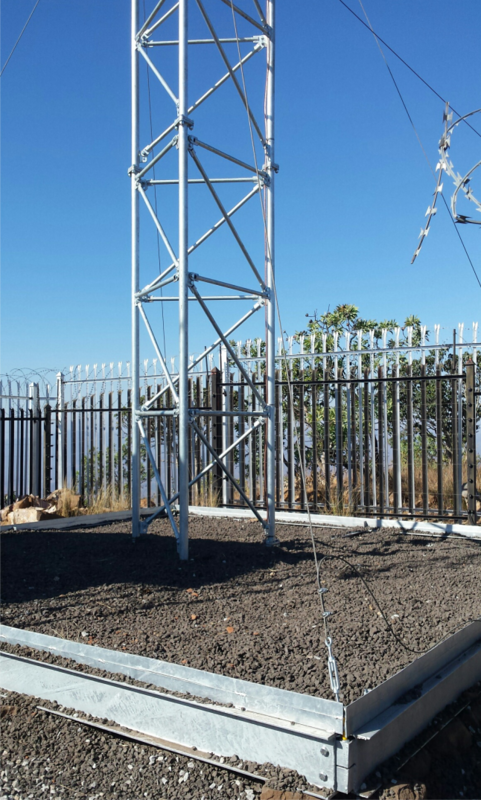 MasterTowers manufacture and supply Guyed lattice, Self-support and Rapid Deployment Towers & Masts to the public. 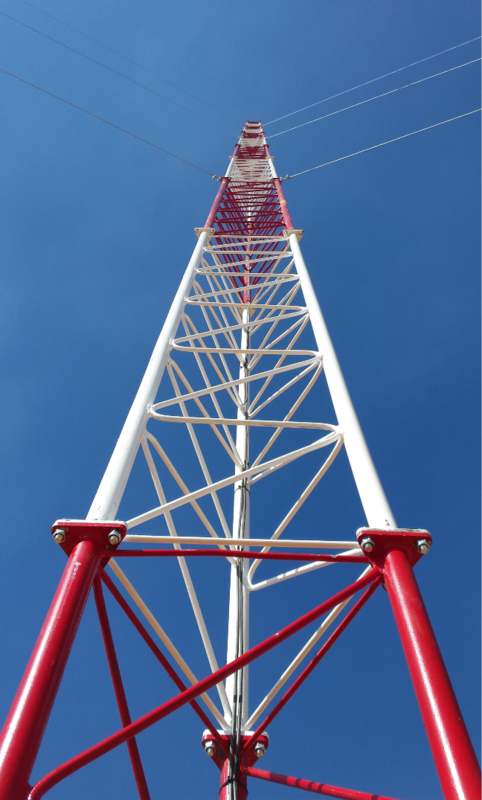 We also export our towers and do installation and maintenance as well as offer full turn-key solutions to our clients. All components on the structures are hot dip galvanized to the highest specifications. All nuts and bolts are of grade 8,8 quality and we only use High Tensile S355 hot rolled tubes in the manufacturing of all of our steel structures. Made with 42,9mm x 2,5mm S355 High tensile Tubes & 10mm roundbar for the lattice works on the medium duty towers. 12mm roundbar is used on the heavy duty towers. All the flanges used to bolt the 3m sections together is laser cut and is bolted together with 9 x M12 grade 8,8 high tensile bolts per 3m section. Made with 60,3mm x 2,5mm S355 High tensile Tubes with 32mm x 2,5mm S355 tubes for the brazing works on the medium duty towers. 60.3mm x 4mm S355 High tensile is used with 38.1mm x 2.5mm S355 High tensile on the heavy duty towers. Flanges are laser cut using 16mm steel, bolted together with 3 x 20mm grade 8,8 high tensile bolts per flange. 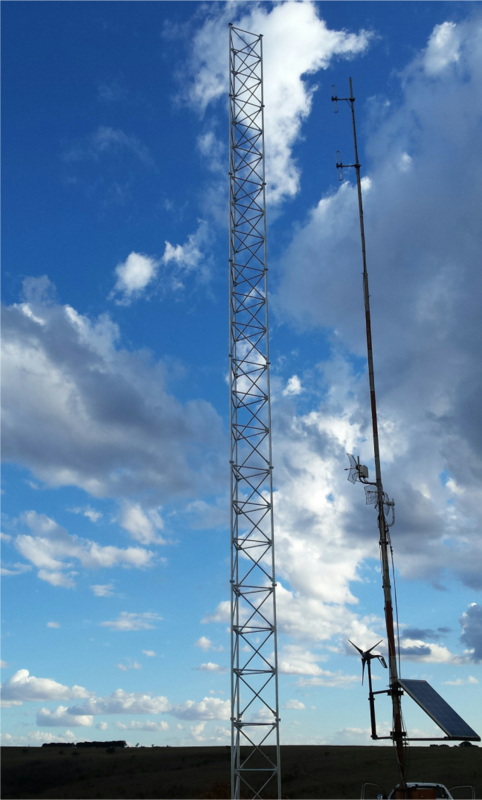 MasterTowers is proud to bring you the all-new Rapid Deployment Mast. This Non-Ground penetrating mast is exactly as the name suggest – Rapid deployment, meaning it can be deployed in 1 to 2 days depending on the site and location. Non-Ground penetrating, so there is no digging or concrete work that needs to be done, all this mast needs is 6m x 6m of relatively level ground.